Modern Russian literature has two “first” epochs: secular literature’s rapid rise in the eighteenth century and Alexander Pushkin’s Golden Age in the early nineteenth. In the shadow of the latter, Russia’s eighteenth-century culture was relegated to an obscurity hardly befitting its actually radical legacy. And yet the eighteenth century maintains an undeniable hold on the Russian historical imagination to this day. Luba Golburt’s book is the first to document this paradox. 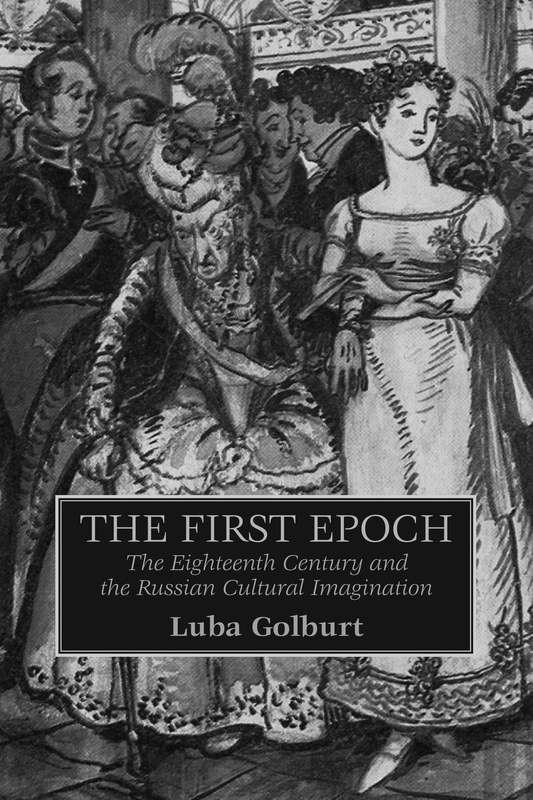 In formulating its self-image, the culture of the Pushkin era and after wrestled far more with the meaning of the eighteenth century, Golburt argues, than is commonly appreciated. Why did nineteenth-century Russians put the eighteenth century so quickly behind them? How does a meaningful present become a seemingly meaningless past? Interpreting texts by Lomonosov, Derzhavin, Pushkin, Viazemsky, Turgenev, Tolstoy, and others, Golburt finds surprising answers, in the process innovatively analyzing the rise of periodization and epochal consciousness, the formation of canon, and the writing of literary history. Luba Golburt is an associate professor at the University of California, Berkeley, where she teaches nineteenth-century Russian literature in the Department of Slavic Languages and Literatures. All images are at least 2.25 inches at 300 dpi wide; current title covers are a minimum of 1500 px wide/6 inches wide at 300 dpi. Please contact us if you need a custom size. University of Wisconsin Press is part of the The Office of the Vice Chancellor for Research and Graduate Education. If you have trouble accessing any page in this web site, email webmaster@uwpress.wisc.edu. ©1995– The Board of Regents of the University of Wisconsin System.